If your kids are anything like mine, when it comes to storybooks and reading, they tend to stick to one book that we read over and over for a little while before they take up interest in a new one. I get it, the repetition and familiarity is a great way for them to learn and hey, if they find a book they like, I am all for it. But let’s be honest, it can also get boring…for me! 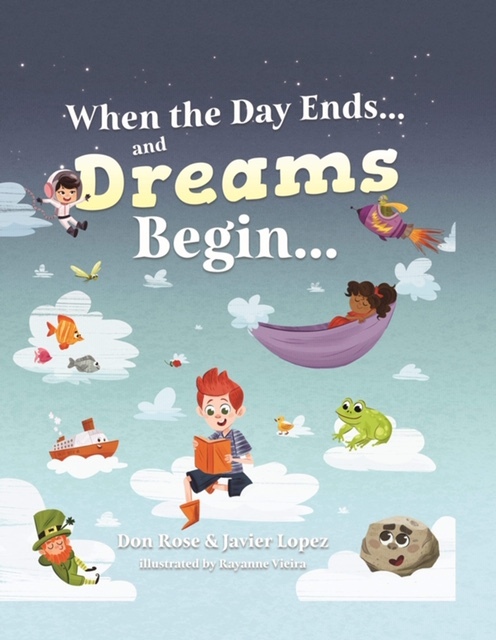 A friend of mine recently shared a book written by her father (Don Rose), and husband (Javier Lopez), “When the Day Ends… and Dreams Begin...” It’s a big story book filled with several unique, short stories and poems, perfect for boys and girls! My kids immediately took to the book and chose which ones they wanted me to read first. A couple of my early takeaways from the book are the fun, playful moral stories and cute illustrations to match. The stories are perfect for bedtime to read 1 or 2 and it’s a nice blend of text and pictures. Often times my boys will argue over which book they get before bed and with this book, they can each get the same book, (and share), but pick their own unique story out of it. 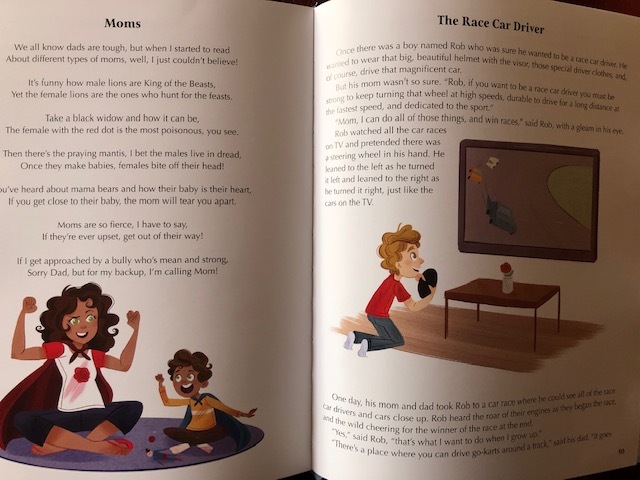 The themes for the stories are very relate-able whether is be about siblings, growing up and animals, or geared toward dreaming big, like being a race car driver!